Today’s option question: Besides writing what other creative outlets do you have? Too many! I’ve always been creative – painting, writing, creating, building. I started taking photos when I was 12 and took photos professionally for over 20 years. DLP keeps me busy, so I don’t have as much time for photos or anything else. Unless you count organizing as being creative! Dancing Lemur Press, L.L.C. is now on Facebook. Please LIKE the page if you are on Facebook! It’ll be updated every week with events, book releases, and photos. 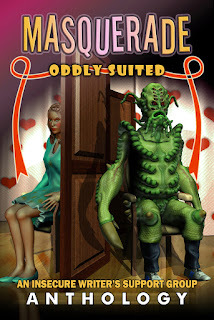 The next IWSG anthology, Masquerade: Oddly Suited, (YA romance) will be released on April 30, 2019. The authors are looking for blog tour hosts. If you can host a day and help spread the word about the anthology, sign up through Google Docs. Plus show your support and add Masquerade on Goodreads. There is a giveaway for Big Red, which comes out May 14, 2019. I’m very excited for this release. Many reviewers have been turned off by the “military sci-fi” aspect, which is so unfair to this book. It’s a mind bending delight. Suffering the side effects of Compression travel, soldier Darren Loughlin wakes up screaming from a gunshot wound that isn’t there. Despite a fractured memory, he is forced to recount his year-long tour of duty on Mars to uncover the mysterious fate of Earth’s off-world colonies and the whereabouts of his shattered battalion. With time running out, Darren recalls his tour of duty with the Mars Occupation Force in New Berlin colony, their brutal MARSCORP masters, and the vicious war against the hostile alien natives. Damien Larkin is a full-time stay-at-home father of two loud (but happy) young children. When not tinkering with apps as a side project, you can find him reading everything and anything to do with psychology, history and science fiction. He enjoys turning terrifying nightmares into novels and currently resides in Dublin, Ireland. 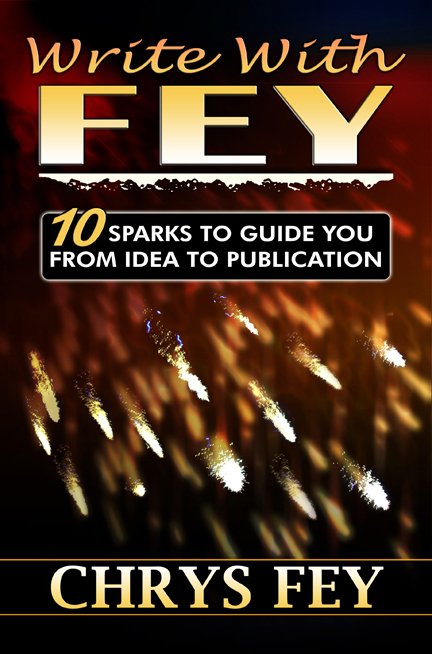 Enter to win a signed, print copy of Write with Fey: 10 Sparks to Guide You from Idea to Publication and writing goodies (index cards, a magnetic mini clipboard with paper, flag paper clips, and a "Genius at Work" sign. This month’s WEP Challenge is 28 Days. 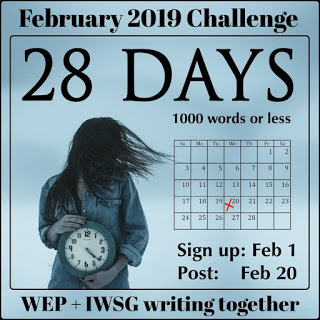 Sign up and post your entry on February 20. 5 Discussion Questions: We will pose 5 questions that you can answer about the book we’ve read as a group. You can answer one question or all five. It’s up to you. Discussion Day Poll: Every discussion day, there will also be a poll that all members will get invited to answer. This is a great option to participate that is fast and simple. Quiz: You can also help us create a Goodreads quiz for the book we’ve read. 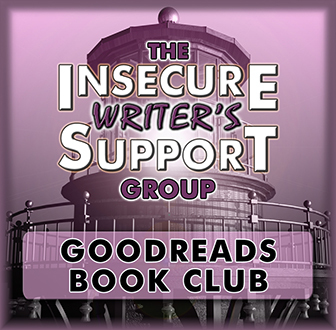 Giveaways: Every Discussion Day, book club members will get a Goodreads message that will include the chance for members to enter a free Rafflecopter giveaway. Freebies: When we announce the next reading selection, another Goodreads message will go out that’ll include a downloadable freebie, which could be anything. Other Polls: We will also invite members to answer writing or reading related polls during our “down” months. One poll will be related to the book in some way. We read a new book every other month, alternating between craft books and fictional books that demonstrate an aspect of writing. Members vote on our fictional books. What creative outlets do you have? 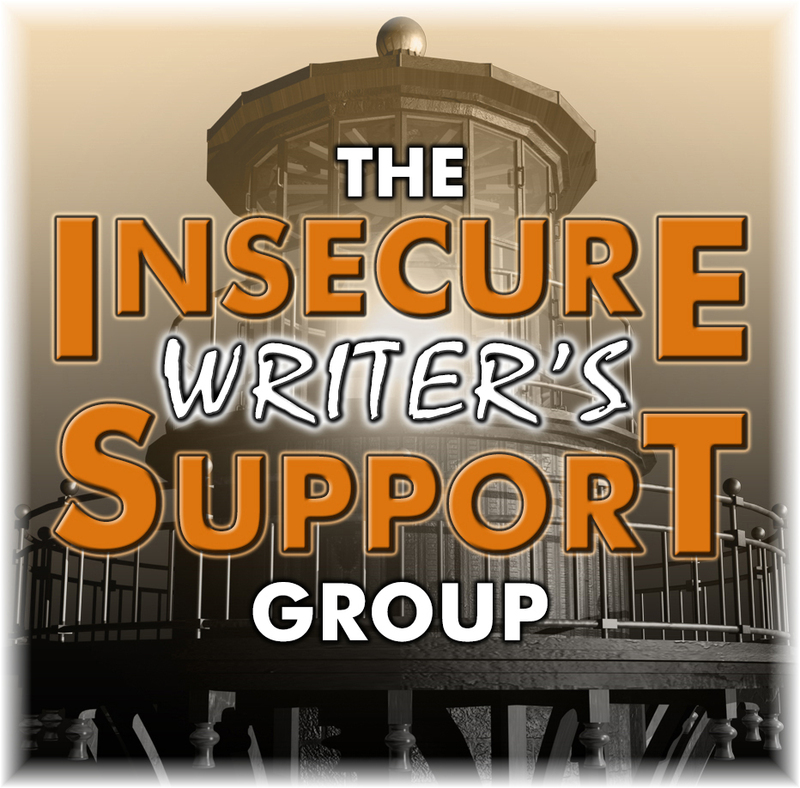 Are you interested in hosting the Masquerade authors? Looking forward to reading the anthology. I like to walk around with my camera, too. This year it's been a while since I've done so and I'm looking forward to getting back to it. It is hard to focus on anything else non-writing related. I bet you're having fun organizing, editing, and publishing all those books! Racing over to like your page! Love the anthology cover. 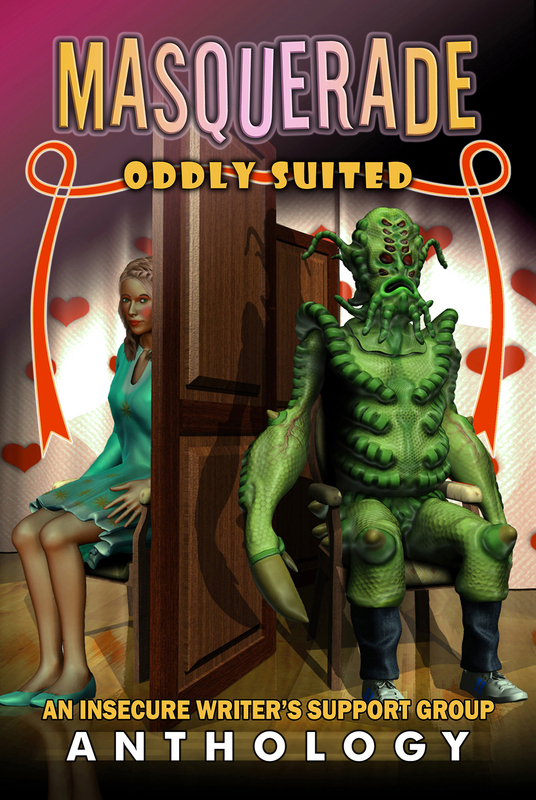 I love the cover for the masquerade anthology! It's funny and terrifying at the same time. In the past, I've enjoyed painting and drawing, but haven't had the time to pursue these lately. I used to take a lot of pictures too, I'd almost forgotten that. Of course I'll host! I've finally got myself a decent camera and am enjoying learning to take photos. I'm slowing getting better! So many things going on!!! I like the photos you've posted here before. It's good you're a creative organizer! I can't imagine the time and energy it takes to be a publisher!!! Keep up the great work! I'll take organizing as being creative. And someone said blogging is, so we're both set! You are one creative woman, Diane! And you have the energy of a Jeddai. Congrats on the new publications. Lots of announcements. And I say all the stuff you do for Dancing Lemur Press takes a strongly creative streak to keep up with it all! Thank you for including the announcements for my giveaway and the book club! Organizing is definitely creative. It helps clear out my mind too and allows other projects to flow with more ease. You are a superwoman: painting, writing, creating, building, wow, that's a whole lot of creativity. I have started taking pictures now. I can usually tell simply by the look of someone's blog how creative they are. You are filled with it! I got distracted for quite a while visiting you. Kudos to dads who stay at home. Good luck with the book. You seem to corral all of your creative energy, then shoot it out into every project. Quite inspiring! Big Red sounds like a great read. I like military fiction. I will try to grab the ebook version when its available. Did the giveaways. Signed up for the tour on the anthology too. You have a lot of great things going on. Congratulations to you and all. 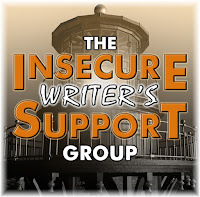 Happy IWSG! Boy, you've been into all kinds of things, haven't you? Very cool that you were a professional photographer. One of our daughters-in-law started doing photography as a hobby, and it's quickly becoming a lucrative pursuit for her. And she LOVES it! At the rate she's going, she'll have to give up her other job and do photography full-time. 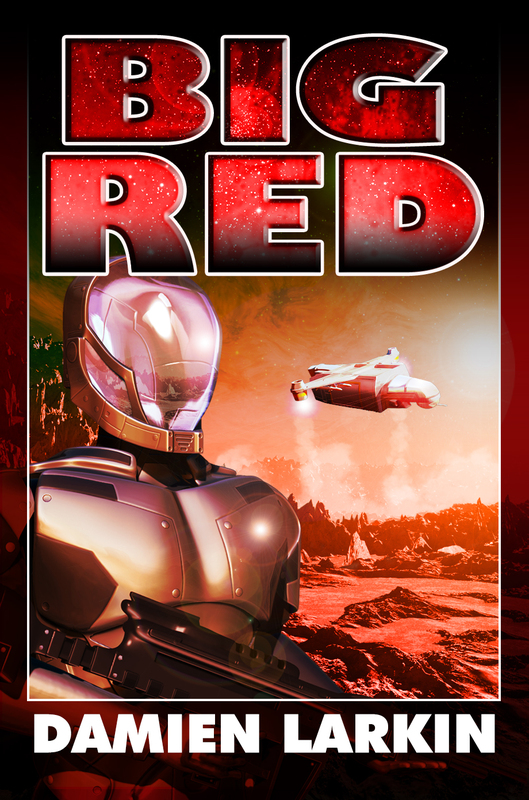 I can attest that Big Red is a great read. While it is very much military sci-fi, it also has a very strong Twilight Zone/Black Mirror vibe. There are ALOT of twists and surprises in this book, and it had me guessing right up until the end. A very fun read! Why would people be turned off by military sci-fi? It's a great combo of themes. You have lots of stuff to share today. I like the scifi stuff. Big Red looks interesting. I feel like the contest might open the door for 28 Days Later fan fiction. Organizing is definitely creative. It's no coincidence they say sometimes: "She has a talent for organizing." I'm guessing, that's about you. BTW: sorry to mention it, but on your website bio, [http://www.spunkonastick.net/press-room-bio/] the links of this blog and the Circle of Friends website are mixed up. You might want to check them out. Well organizing can be considered creative sometimes as you have to figure out how to get all done. Lots going on:) You are definitely a creative soul, Di. I took black and white photography in college- loved it! I have all the equipment for a darkroom too. I wish I had more time. Thanks for all the news! You definitely are creative or you could never accomplish all the things you do. Creativity is everywhere we look. I have so many outlets I enjoy along with writing. Some, like traveling, help my writing. I like photography as well. Congrats to Damien! My husband also enjoys photography. P.S. If you want one of my Porg, feel free to e-mail me at ulbrichalmazan@sbcglobal.net. You have the energy to foster all your creative pursuits! I wish I had spent more time on photography when I was younger and traveled more. You were wise! I loved Damien's book! I felt like the military aspect was authentic in the story and served as both a backdrop and an instigation for the MC. I have so many creative pursuits besides writing. I always feel like I'm wrestling them all and trying to see which one is going to come out on top! Military Sci-Fi isn't a genre I usually go for but I'm a huge admirer of writers of science fiction. It takes great skill and creativity to blend detailed science and military issues with creativity and that spark of magic to really make a novel shine. Congratulations Damien! So much going on. I can imagine that DLP keeps you on your toes! Ditto what the others said about so much going on. It's wonderful. Love these announcements, thank you for sharing! Diane, I haven't been on Goodreads lately. 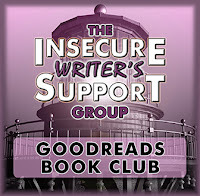 The IWSG Book Club and everything else mus be challenging. Best wishes for smashing success. Very informative post. Now that I've spent an half an hour clicking and signing up for things... LOL... I've forgotten if I had anything useful to say. Yay for new books coming out! Well, I suppose if you find creative ways to organize, I think that would count as a creative outlet. Unless, of course, the process makes you want to tear your hair out. Then perhaps it wouldn't be so therapeutic. Military Sci-fi is pretty big these days, so it should find a market there, too. So much good stuff going on!!! You are amazing with all your creativity. Your book publishing site looks great! Congrats on Big Red. Sounds like a great read. Di, have a productive day and pleasant evening. The enthusiasm is intoxicating! I always feel energized by visiting! Photography is a great love of mine as well, but I only seem to take "serious" photos when I'm traveling. My daughter enjoys photography. That's a good creative outlet. Goodness! You are not only creative, but immensely ambitious. Good for you! Now send me a burst of energy. Wow! So much going on, Diane! I've preordered my copy of the anthology. Will "Big Red" be available for preordering? It sounds awesome, and I like military sci-fi, so bring it on! Have a great week! Now I can understand why you have so many other outlets to enjoy, but yahhy for you for being so busy. Long may it last! Have you managed to squeeze in any time for painting recently?